Pam Eddy and I attended the World Academy of Science, Engineering and Technology (WASET) International Conference on Higher Education yesterday. We each presented a paper. When the activities wound up, we headed out in different directions. Pam went to hear a lecture at UNESCO that she’s received a special invitation to attend and I went to study the architecture of Paris. 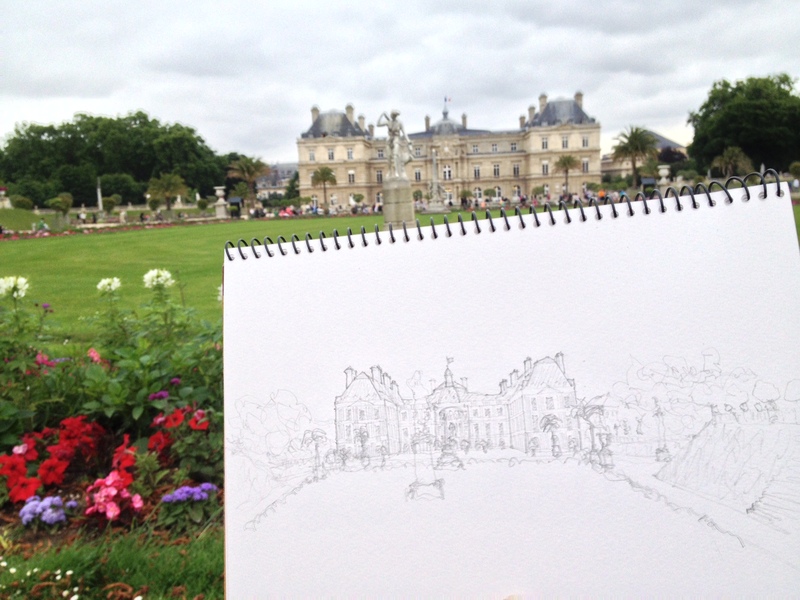 I sketched in the Luxembourg Gardens and in a church that I’d discovered two days before. Pam and I met back up for dinner with Pam’s husband Dave. After dinner, we strolled through central Paris–discussing things we’d concluded about the city on our earlier explorations. A discussion group at the conference, lead by Pam. The Pantheon in Paris… feels like Rome.